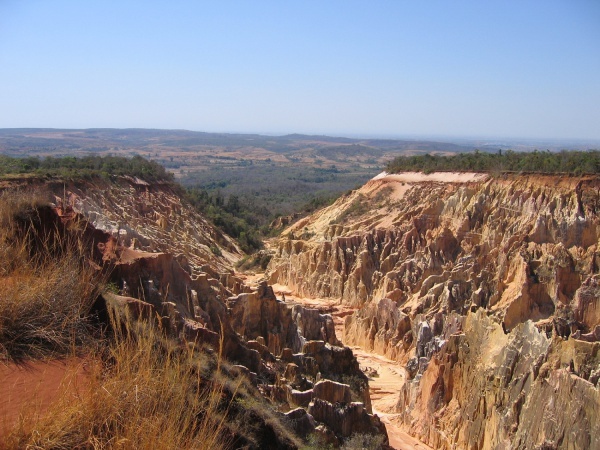 The Ankarafantsika National Park is located in the Boina region in the northwest of Madagascar. To the east, the park is bounded by the Mahajamba river and to the west by the Betsiboka river. The park is located along the national road 4 (RN4), about 115 kilometres south of Mahajanga (2 hours by car) and 450 kilometres north of the capital Antananarivo (8 hours). The road is in good condition and accessible all year round. There is a daily taxi-brousse service between Antananarivo and Mahajanga. Alternatively, Air Madagascar offers regular scheduled flights. 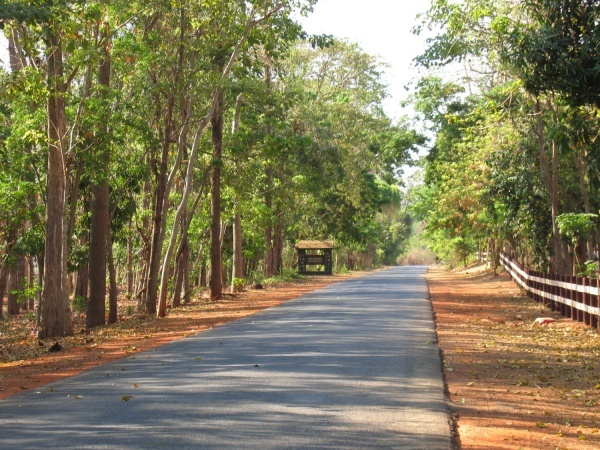 Originally, two parks on both sides of RN4 formed the forest reserve of Ankarafantsika, before they were unified in 2002. Today, Ankarafantsika National Park covers an area of 135,000ha at an altitude of 250m. The highest peak is 350m. There are five major rivers running through the park. 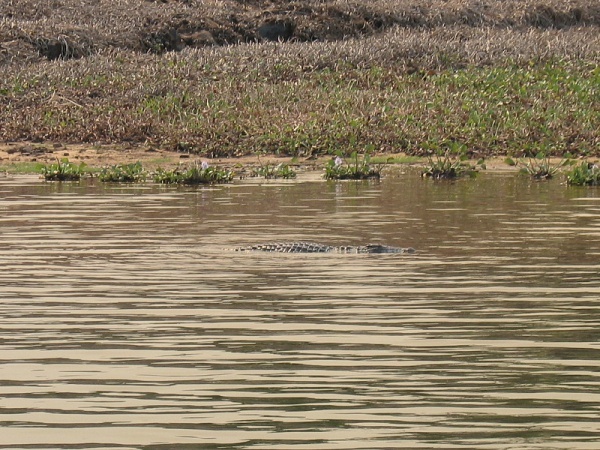 Several lakes, such as Tsimaloto, Ampijoroa, Antsimalo and Ankomakoma are the last refuges of native fish, aquatic birds and crocodiles. In addition, the lakes are shrines to the natives of the region. The landscape of the park is very alternating with different types of forests and savannas. 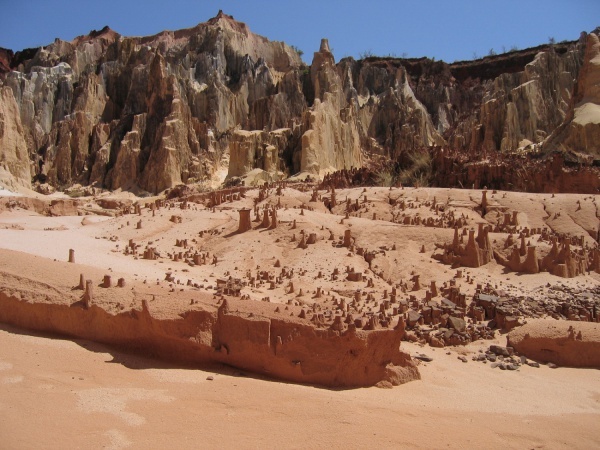 A highlight of the park is the Lavaka of Ankarokaroka, a lunar landscape born of massive erosion. Various endemic species live and grow in this sandy massif. 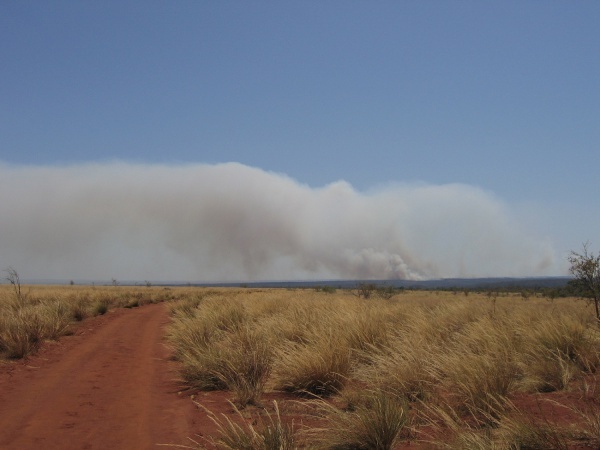 From April to November the weather is hot and dry, followed by a wet period. The average annual rainfall is 1,475mm. In general, the temperature varies between 24°C and 29°C. There are about 37,456 people (2010) living in the area, spread over 133 villages and hamlets. The inhabitants are mainly farmers. The dominant ethnic group is Sakalava. 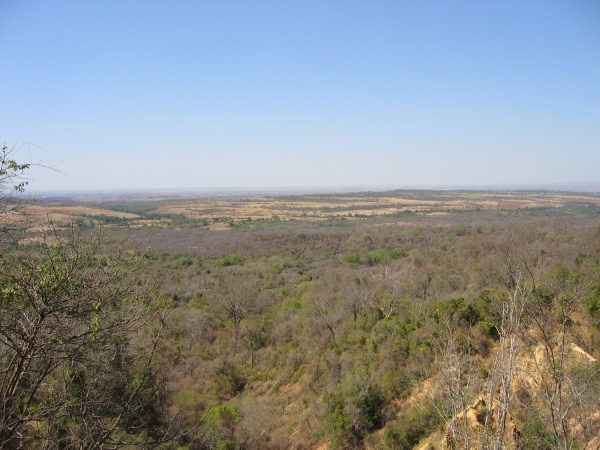 Ankarafantsika National Park is subject to strong pressures caused by charcoal production, slash and burn agriculture (tavy), logging, expansion of grazing, hunting and collecting forest by-products. Every dry season, the park is also exposed to severe fires caused by humans, which is destroying the habitat of a wide variety of animals. Hunting is also increasing, as the traditional fady on hunting of lemurs is generally not respected by migrants in the region. 50% of the park entrance fees are donated to the local population to support the financing of micro projects. Since the launch of the Environmental Action Plan, more than 200 projects were enforced in the surrounding communities. More than 20,000 people benefited from the construction of wells, mini-dams and a school, drilling for a fire hydrant, beekeeping, reforestation, poultry farming and provision of agricultural equipment. 7.1 The Coquereli Circuit - "Small Tour"
7.2 The Coquereli Circuit - "Big Tour"
Thick forest on dry sand: This type of forest grows on white or red sand in valleys, at lakesides and on slopes. The vegetation on sand has adapted to aridity with special characters, such as semi-deciduous leafs. In this type of forest grow among other plants Bosqueia boiviniana, Dalbergia greveana, Zanthoxylon tsihanimposa, Rheedia calicicola, Dypsis sp and Nervillea sp. Swamp forest: Located in low grounds or valleys temporarily flooded. This forest is characterised by a dominance of Raphia farinifera, often associated with ferns and other species. The swamp forest is not very diverse in terms of flora, due to soil conditions of the habitat. Riparian forest: This forest is fairly typical along rivers and swamps. Because of the constant humidity, the trees are higher and larger in diameter. As in the swamp forest, floristic diversity is low. Xerophytic thicket: This formation of only small shrub is specific to drier sites. This vegetation type is characterized by the abundance of xerophytic forms. Due to the soil conditions only a very low floristic diversity can be found in this habitat. Savannah: This grassland is dominated by Aristida, Heteropogon, Hyparrhenia and Panicum. Woody species include shrubs and trees. 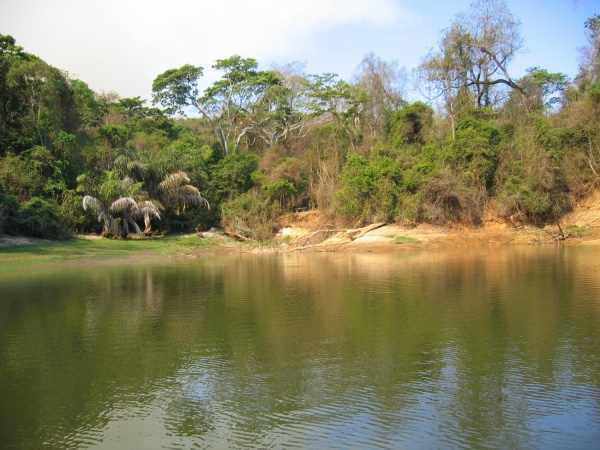 Permanent lakes: They are habitat for rare species and play an economic and ecological function in the region. Amongst the mammals is the rodent Macrotarsomys ingens (Greater big-footed mouse) who lives only in this area and several species of tenrecs. Various species of insects and amphibians can also be found. Acrantophis madagascariensis Madagascar ground boa / Do Snake, generally terrestrial. Endemic to Madagascar. Dark brown or dark beige, brighter on the stomach. Its size can reach up to 3 metres. Carnivore - feeds on small mammals and birds. Schetba rufa Rufous vanga / Paopaobava Land bird, only in the forest. Endemic to Madagascar. Medium in size, red back, white stomach and black head. Diurnal bird, likes to live with a partner or in groups of 4 to 8, rarely alone. Xenopirostris damii Van Dam's vanga / Vanga Land bird, only in the forest. Endemic to Madagascar. Rare and endangered species. Large in size, grey back, black head and white stomach. Insectivore - feeds on beetles. Propithecus verreauxi coquereli Coquerel's sifaka / Sifaka Tree lemur. Endemic to Ankarafantsika. Rarest and most threatened species. It has a head-body length of 45cm and a tail length of 55cm. The adult female weights around 3.76kg and the adult male around 3.70kg. The upper body is whitish woolly, the lower body is dark brown woolly. The face is bare and black with a black nose and white muzzle. The tail is white. Diurnal. Folivore and frugivore - feeds on leaves and fruits. Eulemur mongoz Mongoose lemur / Dredrika Tree lemur. Endemic to Ankarafantsika. Vulnerable species. It has a head-body length of 30cm to 35cm and a tail length of 48cm. An adult weights between 1kg and 1.5kg. The male has a brown back, darker than the female. Male and female distinguish themselves by the colour of their shoulders: Blackish brown for females and yellowish for males. Both sexes have orange eyes and a white nose. Diurnal in rainy season when the food is abundant and nocturnal in dry season when the food is scarce. Folivore and frugivore - feeds on leaves and fruits. Sometimes insectivore - feeds on insects. Cheirogaleus medius Fat-tailed dwarf lemur / Matavirambo Tree lemur. Endemic to Madagascar. Fully protected species. It has a head-body length of 21cm to 22cm and a tail length of 17cm to 20cm. The adult weights 142g at the beginning of the wet season and 217g at the end of the wet season. It has short ears, a brownish back and white stomach. A white strip surrounds its nose and the eyes have a black ring. Slow moving lemur. Nocturnal. Hibernates from April to September, its fat storage is at the base of the tail. Frugivore and insectivore - feeds on fruits and insects. Avahi occidentalis Western woolly lemur / Tsarafangitra Tree lemur. Endemic to Madagascar. The length of head and body is greater than the length of the tail. An adult weights 859g. Dense fur with a shaped loop on the back. Medium grey, sometimes mottled brown back. Sometimes reddish grey tail. Folivore - eating mostly leaves of Commiphora pervilleana (Matambelona). Ankarafantsika National Park is home to a rich and diverse flora. 823 species have been inventoried. The endemic rate is ranging from 82% for herbaceous plants to 92% for woody plants. Dioscorea bemandry Maciba Herbaceous liana, with spirally arranged leaves. Small greenish flowers with six petals grouped in a cluster. Roots are edible tubers up to 1m long. Non-endemic. In dry and dense deciduous forests. Flowering from December to February, fruiting from January to April. Baudouinia fluggeiformis Mpanjakabenitany or Mpanjakaben' ny tany Shrub or tree 15m in hight and 50cm in diameter. Irregular trunk with very deep grooves. The bark is light brown. Its deciduous leaves arranged in bouquets at the summits of short branches have a dull bottom side and a shiny upper side. A dominant leaf-vein crosses the leaves. Hermaphrodite (both sexes) flowers with five yellow petals about the same length as the sepals. Endemic to Madagascar. In degraded dry deciduous forests. Flowering from August to December, fruiting from September to May. Cedrelopsis grevei Katrafay Tree 5m to 22m in height and 10cm to 50cm in diameter. 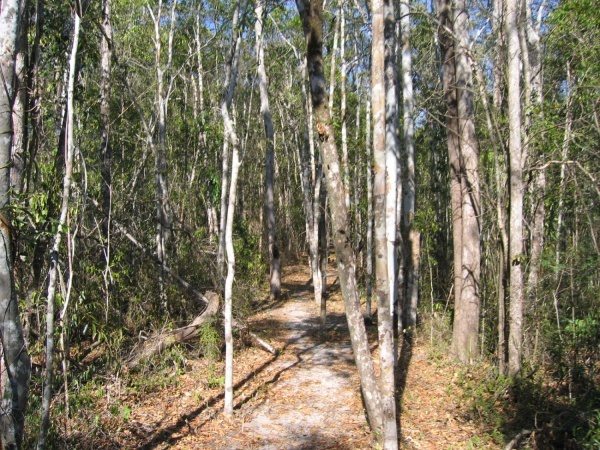 Its greyish-brown bark is cracked and has a characteristic odor. Its clear-yellow and hard wood is very valued for carpentry. Its deciduous, hollow leaves grouped on the summit of the twig have various healing powers. The small flowers are yellow. The fruit capsules turn black when ripe. Essential oil (katrafay oil) resulting from the bark is used in traditional medicine and in aromatherapy. Endemic to Madagascar. In dry and dense deciduous forests. Flowering from September to December, fruiting from October to January. Rhopalocarpus similis Hazondringitra Tree 20m in height and 10cm in diameter. This deciduous tree has simple, oval leaves with a more or less dark reddish upper side and a light green bottom side. The small flowers are grouped in a cymose umbel with four sepals. Ripe fruits are black. Endemic to Madagascar. In dry and dense deciduous forests. Tree rich in mucilage (viscous fluid). Flowering during the rainy season: November to April, fruiting in the dry season. Strychnos spinosa Mokotra Quite small tree with thorns and opposite leaves. Small white flowers with fused corollas. Large woody fruits with edible pulp. Endemic to Madagascar. On grassy savannas or savanna woodlands. Flowering in the wet season and fruiting in the dry season. Raphia farinifera, Raphia rufa Raffia palm / Rofia Erected palm tree with a trunk covered with leaf sheaths. Compound pinnate leaves with a petiole of about 1.5m and a spine of 2m to 3m. In Ankarafantsika National Park Raffia palms grow with leaves up to 7m long. 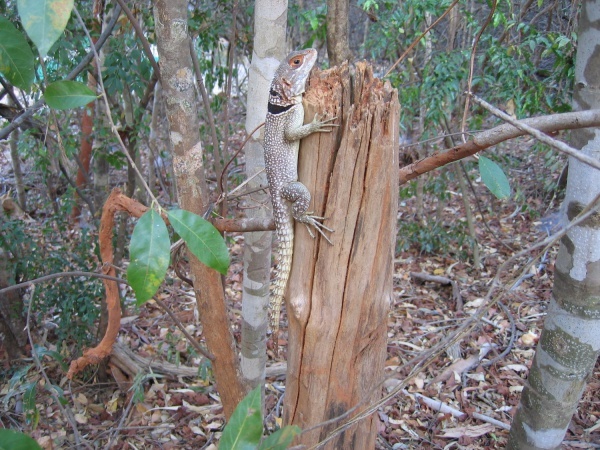 The main veins are covered by short spines. The small flowers are covered by tubular bracts, the fruits are oval. The fibrous branches and palm leaves are used for ropes, sticks and various roof coverings. Introduced to Madagascar. In wetlands and shallow valleys. Flowering in the wet season and fruiting in the dry season. This palm grows on clay-humus. Stereospermum euphoroides Mangarahara Shaft 15m to 20m high. Grey, waxy bark. The tree releases brown shiny exudates on the surface after scratching the trunk. Deciduous tree with compound, opposite leaves. Small white flowers tinged with purple, hermaphrodite flowers (both sexes). The capsular fruits are cylindrical or spindle-shaped. Endemic to Madagascar. In dry and dense deciduous forests on sand or on laterite plateaus and hills. Flowering from November to January and fruiting between April and November. Commiphora guillaumini Matambelona Deciduous tree with a height of 10m to 20m and a diameter of 50cm to 80cm. The crown is somewhat bulky and the branches are rather thick at the end. Dry bark peels off from the green trunk, leaving scars. Yellow brown, reddish wood with darker rings. Smooth, alternating leaves, crowded in clusters on the branches. Lateral nerves are visible on both sides of the leaves. Round, fleshy fruits with fruit stone inside. Endemic to Madagascar. In dry and dense forests. Flowering in October and November, fruiting between October and March. Hymenodictyon occidentale Lohavato A small, deciduous tree with a smooth, thick bark and opposite leaves. Small flowers, the lower part of the corolla is cylindrical, the upper part is ball-shaped. Seeds are surrounded by a membranous wing. Endemic to Madagascar. In dry and dense deciduous forests. Flowering and fruiting from November to January. Poupartia silvatica Sakoanala Large tree, 12m to 25m high, can sometimes reach up to 35m in height and 50cm in diameter. Grey-stained white, thick, cracked bark with elongated scales. Releases reddish latex after scratching the trunk. Compound leaves with 7-15 elliptical leaflets. Small, white flowers. Egg-shaped fruits. Endemic to Madagascar. In dry and dense deciduous forests. Flowering in September and October, fruiting between October and March. The administrative office is located within the park in Ampijoroa, where visitors can find all necessary information for planning their visit, including guides and porters. There are 14 French and English speaking guides, of which 11 are private and three working for the park. In addition to their knowledge about the biodiversity, all guides are trained in first aid, guidance techniques and knowledge about the natural and cultural environment. There are several circuits crossing the Ankarafantsika National Park. Visitors can choose between easy and medium level circuits. The Coquereli Circuit - "Small Tour"
Easy circuit, 2 to 3 hours walk (2km), recommended for wildlife enthusiasts. The Coquereli Circuit - "Big Tour"
Easy circuit, 1.5 hours (2km). This circuit starts at Lake Ravelobe, crosses secondary forest dominated by Raplafarinifera - Sandbox trees (Hura crepitans) which seeds are dispersed by fruit bursting - before reaching the majestic baobabs (Adansonia madagascariensis) which are endemic to Ankarafantsika. Easy circuit, 1.5 hours (1.5km). 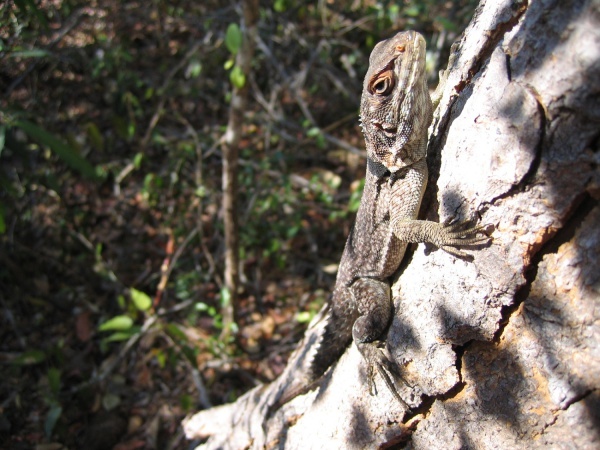 Insight into the world of smaller nocturnal mammals, birds and chameleons at night. This very popular tour begins at 7pm and should not be missed. Medium circuit, 2.5 hours walk (3km). The plants of this circuit will certainly enrich the botanical knowledge of botanists. It also offers the chance for amateurs to understand a part of the ecosystem Ankarafantsika. Bird watchers will also be delighted to add new names to their lists of birds observed. Medium circuit, 3 hours (3.5km). Discover the beautiful pachypodium plant with its yellow flowers that has adapted well to the dry region of Madagascar. 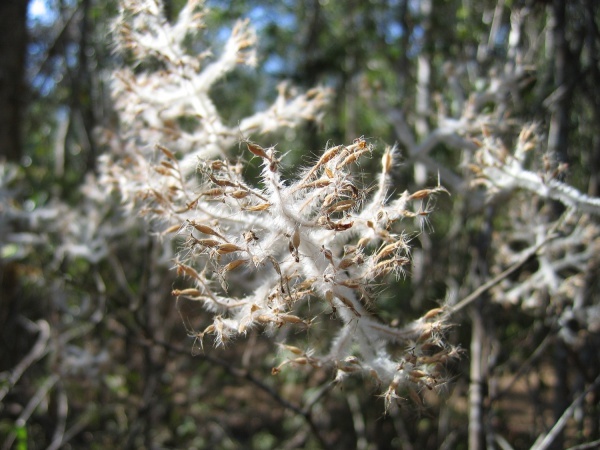 It is typically found in sandy areas or environments in very dry climate in the deep south. Medium circuit, 3 hours (5km). Rich in bird life and aquatic species. You will discover the cultural richness of the region. opportunity to visit a doany: a place where the Sakalava perform a sacred ritual called joro. The joro takes place once a year, usually in July. At the ritual the Sakalava bless the ancestors and afterwards admire the sacred lake (Lake Ravelobe). Medium circuit, 3.5 hours (9km). Leaving the dry forest, a savanna landscape takes you to the great Lavaka of Ankarokaroka - a unique moon-like landscape, the result of massive erosion in the canyon. Medium circuit, 3 hours (9km). Medium circuit, 3.5 hours (7km). This circuit is dedicated to the Lake Ravelobe with the opportunity to admire the lake from very impressive points. Boat safari on the quiet, 60ha large Lake Ravelobe. The guide will tell the legend of Ravelobe, a dangerous and feared man in the garafantsy (hill of thorns). Guide and boat: 50,000 Ariary (1-2 people), 40,000 Ariary (3 people), 50,000 (4 people), 65,000 Ariary (5 people), 70,000 Ariary (6 people), 90,000 Ariary (7 people), 100,000 Ariary (8 people). Maximum 8 people. Medium circuit, 2.5 hours (9km). Drive through the secondary forest and savanna to Lavaka of Ankarokaroka, a canyon with impressive multicoloured erosions in the shape of fairy houses and chimneys. Walk through the canyon. This circuit is especially striking at sunset. Guide and car: 50,000 Ariary (1-2 people), 75,000 Ariary (3 people), 100,000 Ariary (4 people), 125,000 Ariary (5 people), 150,000 Ariary (6 people). Maximum 6 people. Fady's are not strictly taboos, they are more beliefs which signal when something is "dangerous" related to action, food, locations etc. The following fady's in the Ankarafantsika National Park apply both to locals and visitors. Tuesday and Thursday are fady days - it is not allowed to work on such days. It is forbidden to bring pork to the lake or eat pork before going to the lake. Madagascar National Parks has set up a park lodge directly at the park entrance in Ampijoroa to accommodate visitors. The lodge offers various rooms, camping ground, a kitchen and cookers if needed, shared bathroom with hot and cold water, toilets, solar lighting and a parking place. 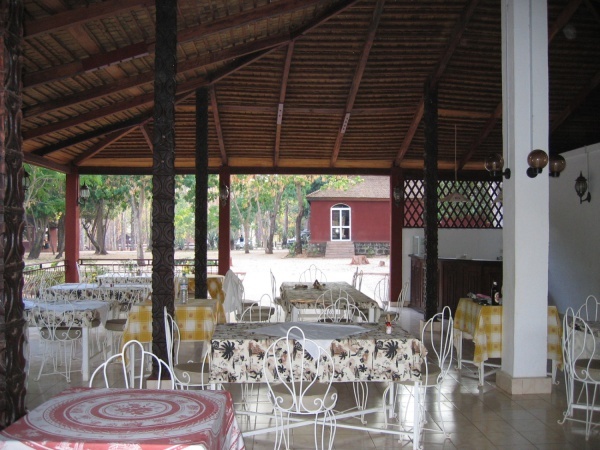 The restaurant offers breakfast and hot meals. Advance booking is recommended. There are more basic Malagasy-run accommodation possibilities in the village of Andranofasika, four kilometres from Ampijoroa. Raffia workshop - workshop where raffia is traditionally woven and naturally dyed. One shop is located along the RN4 in Ampombolava, the other 16km outside the park in Andranomandevy. Cirque Rouge - extraordinary formation (lavaka), 10km from the underground cave, accessible by car. Fanompoana - every year in July the Sakalava people celebrate the fanompoana to ask for the protection and the blessing of the Sakalava’s Kings. This famous tradition is highly respected by the local population. Famadihana - literally translates into "turning of the bones". On this occasion the family commemorates the life of the deceased. Therefore they remains of the decedent are taken from the tomb and re-wrapped in a new winding sheet. However, this funeral ceremony isn't supposed to be sad at all. Instead the family will organise a big party with food, traditional music and dance to prove that they have not forgotten the deceased. Tromba - literally translates into "an evil spirit possessing someone". The Sakalava believe, that spirits can possess humans who fall in trance. At the tromba, ancestor worship is practised in form of a ceremonial communication with the dead. During a specific and secret ritual, a talented person for the invocation will be possessed by spirits. As the sacred deliverer, this tromba is then able to direct important rituals of the village. These mediums are consulted in order to communicate with the ancestors. To fully embody the character, the medium takes over the characteristics of language and behaviour of the reincarnated person. This page was last modified on 7 February 2018, at 09:45.